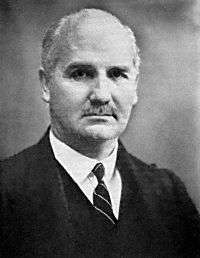 Frederick Alexander Lindemann, 1st Viscount Cherwell, CH, PC, FRS (5 April 1886 – 3 July 1957), pronounced /ˈtʃɑːrwɛl/ CHAR-well, was an English physicist and an influential scientific adviser to the British government from the early 1940s to the early 1950s, particularly to Winston Churchill. He advocated the "area" bombing of German cities during the Second World War and doubted the sophistication of Nazi Germany's radar technology and the existence of its "V" weapons programme. In 1919 Lindemann was appointed professor of experimental philosophy (physics) at the University of Oxford and director of the Clarendon Laboratory, largely on the recommendation of Henry Tizard who had been a colleague in Berlin. Also in 1919, he was one of the first people to suggest that in the solar wind particles of both polarities, protons as well as electrons, come from the Sun. He was probably not aware that Kristian Birkeland had made the same prediction three years earlier. At the same time he worked on the theory of specific heats and on temperature inversion in the stratosphere began to bring the two scientific disciplines together. In the field of chemical kinetics, he proposed the Lindemann mechanism in 1921 for unimolecular chemical reactions, and showed that the first step is one of bimolecular activation. At the same time Churchill's wife Clementine partnered with Lindemann for a charity tennis match. Although the two men had very different lifestyles, they both excelled at a sport: (Churchill's was polo), and Lindemann's ability to explain scientific issues concisely, and his excellent flying skills, probably impressed Churchill, who had given up trying to earn a pilot's licence because of Clementine's grave concerns. They became close friends and remained so for 35 years, with Lindemann visiting Chartwell more than 100 times from 1925 to 1939. Lindemann opposed the General Strike of 1926, and mobilised the reluctant staff of the Clarendon to produce copies of Churchill's anti-strike newspaper, the British Gazette. Lindemann was also alarmed and fearful of political developments in Germany. Lindemann moved in rich circles at Biddesden, the Earl of Iveagh's home, hosted with literary luminaries Augustus John, Lytton Strachey, John Betjeman, Evelyn Waugh, the Carringtons and the Mitfords, the Sitwells and the Huxleys families. One frequently intoxicated visitor was a wayward Randolph Churchill, who would eventually find his destiny in the secret war of the Greek partisans. In 1932, Lindemann joined Winston to complete a road trip throughout Europe and were dismayed at what they saw. Churchill later said, "A terrible process is astir. Germany is arming.". Lindemann was prevailed upon to release Jackson in 1940 to join the RAF at Loughbourgh; he flew in the Battle of Britain and won a DFC. Lindemann also assisted the new Prime Minister in the rescue of a number of German Jewish physicists, primarily at the University of Göttingen, to emigrate to Britain supplementing the vital war work developing at the Clarendon Laboratory. Churchill got Lindemann onto the "Committee for the Study of Aerial Defence" which under Sir Henry Tizard was putting its resources behind the development of radar. Lindemann's presence was disruptive, insisting instead that his own ideas of aerial mines and infra-red beams be given priority over radar. To resolve the situation the committee dissolved itself to reform as a new body without Lindemann. He stayed in close contact with the Jackson's at Rignell Farm, who enriched a poor wartime diet with dairy products they brought into Oxford themselves. Lindemann has been described as having "an almost pathological hatred for Nazi Germany, and an almost medieval desire for revenge was a part of his character". 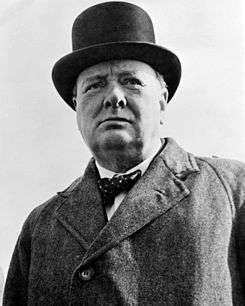 Fearing food shortages in Britain, he convinced Churchill to divert 56% of the UK merchant ships operating in the Indian Ocean over to the Atlantic, a move that added two million tons of wheat as well as raw materials for war fighting to Britain's stockpile. This meant that few ships would be available to carry wheat from Australia to India. Churchill's Ministry of War Transport warned that such dramatic cuts to shipping capacity in South East Asia would "portend violent changes and perhaps cataclysms in the seaborne trade of large numbers of countries" but was ignored. The "menace of famine suddenly loomed up like a hydra-headed monster with a hundred clamouring mouths," according to C. B. A. Behrens in the official history of wartime British shipping. It has been estimated between 1.5 and 4 million people in the Bengal died from famine, while Britain's stockpile of food and raw materials by the end of 1943 totalled 18.5 million tons, greater than ever before. Cherwell and Churchill's policies contributed heavily to the severity of the famine. Other British colonies on the Indian Ocean, including Kenya, Tanganyika and British Somaliland, suffered famine that year as well. Following the Air Ministry Area bombing directive on 12 February 1942, Lindemann presented in a paper on "Dehousing" to Churchill on 30 March 1942, which calculated the effects of area bombardment by a massive bomber force of German cities to break the spirit of the people. His proposal that "bombing must be directed to working class houses. Middle class houses have too much space round them, so are bound to waste bombs" changed accepted conventions of limiting civilian casualties in wartime." His dehousing paper was criticised by many other scientific minds in government service who felt such a force would be a waste of resources. Lindemann's paper was based on the false premise that bombing could cause a breakdown in society but was used in support of Bomber Command's claim for resources. Lindemann also played a key part in the battle of the beams, championing countermeasures to the Germans use of radio navigation to increase the precision of their bombing campaigns. However, he continuously obstructed and undermined the vital work of Sir Henry Tizard and his team who developed all important radar technology. Lindemann also repeatedly made arguments against the rumoured existence of the V-2 rocket, asserting it was "a great hoax to distract our attention from some other weapon". He inaccurately concluded that "to put a four-thousand horsepower turbine in a twenty-inch space is lunacy: it couldn't be done, Mr. Lubbock" and that at the end of the war, the committee would find that the rocket was "a mare's nest". Lindemann took the view that long-range military rockets were feasible only if they were propelled by solid fuels, and would accordingly need to be of enormous size. He repeatedly rejected arguments that relatively compact liquid fuels could be used to propel such weapons. In fairness, "Cherwell [Lindemann] had strong scientific grounds for doubting the forecasts that were being made of a 70–80 ton rocket with a 10 ton warhead." A pivotal exchange where Churchill rebuffed Lindemann occurred at the Cabinet Defence Committee (Operations) meeting on 29 June 1943 and was dramatised in the film Operation Crossbow. Lindemann's political career was a function of his close friendship with Winston Churchill, who protected Lindemann from the many in Government he had snubbed and insulted. "Love me, love my dog, and if you don't love my dog, you damn well can't love me," Churchill reportedly said to a member of Parliament who had questioned his reliance on Lindemann, and later to the same MP Churchill added, "Don't you know that he is one of my oldest and greatest friends?". In July 1941 Lindemann was raised to the peerage as Baron Cherwell, of Oxford in the County of Oxford. The following year he was made Paymaster-General by Churchill, an office he retained until 1945. In 1943 he was also sworn of the Privy Council. When Churchill returned as Prime Minister in 1951, Lindemann was once again appointed Paymaster-General, this time with a seat in the cabinet. He continued in this post until 1953. In 1956 he was made Viscount Cherwell of Oxford, in the County of Oxford. Despite his abrasive and Teutonic manner, Lindemann was reported to have a sensitive side, which reflected itself in his affection for animals and children. He was popular with women, but never married. He had no great loves, and few friends other than Churchill. Eventually he returned to his old rooms at Oxford. He died in his sleep on 3 July 1957, aged 71, only a year after becoming Viscount Cherwell, at which point the barony and viscountcy became extinct. He was the first and last Viscount Cherwell. 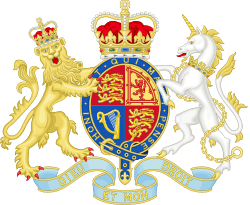 ↑ Proceedings of the Royal Society, 'hyperfine structure in the arc spectrum of caesium and nuclear rotation'. 1 2 3 4 Farren, W.; Thomson, G. P. (1958). "Frederick Alexander Lindemann, Viscount Cherwell 1886–1957". Biographical Memoirs of Fellows of the Royal Society. 4: 45. doi:10.1098/rsbm.1958.0005. JSTOR 769499. ↑ Secrets of World War II episode 5: The Bruneval Raid. See also Operation Biting. ↑ Berman, R. (June 1987). "Lindemann in Physics". Notes and Records of the Royal Society of London. 41 (2): 181–189. doi:10.1098/rsnr.1987.0004. JSTOR 531544. ↑ Crowther, J. G. (1965). Statesmen of Science. London: Cresset Press. pp. 339–376. – See especially p. 343. 1 2 3 4 5 6 7 8 9 Blake, R (2004). "Lindemann, Frederick Alexander, Viscount Cherwell (1886–1957)". Oxford Dictionary of National Biography. Oxford University Press. ↑ "Lists of Royal Society Fellows 1660–2007". Retrieved 21 December 2008. ↑ Alexander, Robert Charles (2000). The Inventor of Stereo: The Life and Works of Alan Dower Blumlein. Oxford, England: Focal Press. p. 238. ISBN 0-240-51628-1. ↑ Mukerjee, Madhusree (6 August 2010). "The Most Powerful Scientist Ever: Winston Churchill's Personal Technocrat". Scientific American. 1 2 3 Mukerjee, Madhusree (2010). Churchill's Secret War: The British Empire and the Ravaging of India during World War II. New York: Basic Books (Perseus Books Group). ISBN 978-0-465-00201-6. ↑ Ronald Hilton. "Men Behind Roosevelt and Churchill". World Association of International Studies. Retrieved 27 December 2012. ↑ Oxford Jewish Personalities, Oxford Chabad Society. ↑ Irving, David. Churchill's War: Triumph in Adversity. Focal Point. p. 596. Retrieved 13 June 2016. ↑ Mukerjee, Madhusree (November–December 2011). "Confidence Man". World War II. Leesburg, Virginia, USA: Weider History Group, Inc. p. 45. ↑ Lindemann, F. (December 1919). "On the Solar Wind". Philosophical Magazine. Series 6. 38 (228): 674. 1 2 Keith J. Laidler, Chemical Kinetics (3rd ed., Harper and Row 1987), ISBN 0-06-043862-2, p. 506. ↑ Jones, R. V. (1993). "Churchill and Science". In Blake, Robert B.; Louis, William Roger. Churchill. Oxford: Clarendon Press. pp. 429–430. ISBN 0-19-820626-7. ↑ Hastings, Bomber Command, Pan 1999, pp. 155–156. ↑ Alexander, The Other Mitford, pp. 79, 82. ↑ Fort, A. (2004). Prof: The Life and Times of Frederick Lindemann. Pimlico. ISBN 0-7126-4007-X. – See p. 237. ↑ Macrae, Stuart (1971). Winston Churchill's Toyshop. Roundwood Press. SBN 900093-22-6. ↑ Ismay, General Lord (1960). The Memoirs of Lord Ismay. Heinemann. – See especially p. 173. ↑ Wheeler-Bennett, J. W.; Nicholls, A. (1972). The Semblance of Peace. London. ISBN 0-333-04302-2. – See p. 179. ↑ David Myers. "Causes of the Great Bengal Famine 1943". suite.io. Retrieved 4 July 2014. ↑ "Blitzed by guidebook". BBC News. 27 March 2002. Retrieved 19 June 2008. ↑ Irving, David (1964). The Mare's Nest. London: William Kimber and Co. p. 159. ↑ John Keegan, "Intelligence in War, ISBN 0-09-180229-6, p. 180. ↑ Wilson, Thomas (1995). Churchill and the Prof. Cassell. p. 47. ISBN 0-304-34615-2. ↑ The London Gazette: no. 35217. p. 3991. 11 July 1941. ↑ The London Gazette: no. 40818. p. 3801. 29 June 1956.